FORT WORTH, Tex. 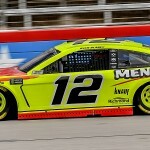 – For a while, it appeared Ryan Blaney was the man to beat in Sunday’s O’Reilly Auto Parts 500 at Texas Motor Speedway, but the Team Penske’s driver day ended prematurely with engine failures on Lap 225 at Texas Motor Speedway. 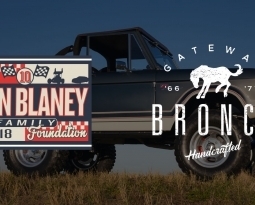 the headers of Blaney’s No. 12 Ford Mustang on the frontstretch and entering Turn 1 with the driver slowing on the backstretch before coasting back to pit road. Blaney qualified 13th Friday afternoon but utilized the benefits of the draft and well-balanced race car to maneuver his way through the field. 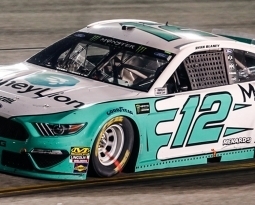 By the end of Stage 1, Blaney had finished fifth. Continuing to get stronger as the race pressed on, Blaney march forwarded and finished Stage 2 in second. Blaney assumed the race lead at the start of Stage 3 and led 45 laps before making his routine pit stop and his race falling apart less than 10 laps later. “A part broke off and leaked all the water out,” Blaney said. 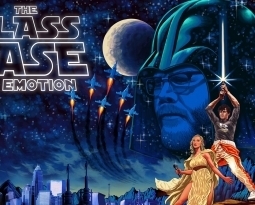 “That’s the way it goes, that’s the way this season’s going. Have a shot to win pretty much every race and something happens. 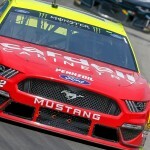 Blaney’s 37th place finish snaps a three-race stretch where the two-time Monster Energy NASCAR Cup Series finished inside the top-five at Phoenix, Fontana and Martinsville respectively. He also jumped from 12th to eighth in the championship standings and luckily didn’t lose any positions with his second DNF (did not finish) of 2019. 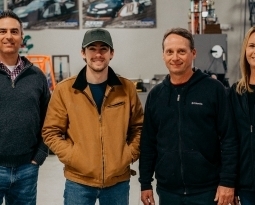 Blaney says he’s trying to find the positive of a tough situation – And while he admits it’s tough, he wants to start finishing where he believes he should.